Traders work on the floor of the New York Stock Exchange on Wednesday, Aug. 22, 2018. By one measure, stocks crossed a major threshold on Wednesday. But the financial gains of the decade-long run have been concentrated among the already wealthy. A raucous week on Wall Street ended quietly Friday, as stocks drifted between gains and losses before closing slightly lower. The S&P 500 fell 0.12 percent, to 2,485.74, and the Dow Jones industrial average dropped 0.33 percent, to 23,062.40. The Nasdaq composite fared better, rising slightly. The muted session contrasted sharply with trading during the rest of the holiday week, when stocks rose or fell sharply — sometimes doing both the same day. On Monday, in a shortened Christmas Eve session, shares experienced their steepest drop in several weeks as investors worried over President Donald Trump’s attacks on the Federal Reserve. On Wednesday, the S&P 500 surged nearly 5 percent and posted its biggest one-day gain since March 2009. 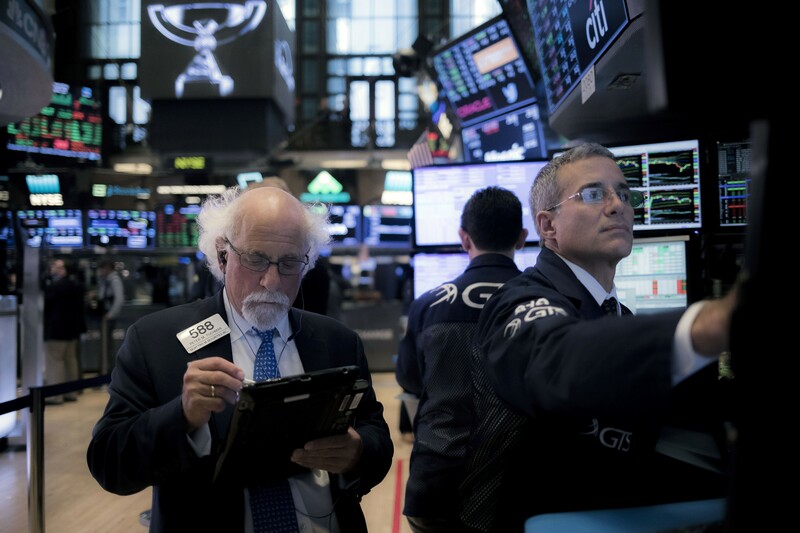 Although the S&P 500 ended the week higher than it began, investors may face more declines soon, said Sam Stovall, chief investment strategist at the independent research firm CFRA. Lighter trading volume than usual — typically for a holiday week — was responsible for some of the seesawing, but volatility has become a hallmark of trading lately as financial markets slid off their highs. Since October began, the S&P 500 has gained or lost 2 percent or more 12 times. In the six months before that, there were only two moves of that size. Investors have been grappling with a slowing of global growth, corporate profits being squeezed by rising interest rates, a trade war with China and turmoil in the White House. A partial government shutdown that looks certain to continue into 2019 has complicated matters. Oil prices, which are close to their lowest levels in more than a year, rose 1.6 percent Friday, with the U.S. bench mark ending the day at $45.33 a barrel. European markets ended the day up across the board. The Euro Stoxx 50 blue-chip index gained 1.6 percent, the FTSE 100 in London rose about 2.3 percent and the CAC 40 in Paris was up around 1.7 percent. Stocks in Japan fell after officials there released soft economic data for the month of November.